Monday - Friday, 08:00 - 17:00 & Saturday 09:00 - 13:00, excluding Bank holidays. Monday - Friday, 08:00 - 17:05 & Saturday 08:00 - 13:00, excluding Bank holidays. & Buildings can be viewed at Streatham Hill - junction of Leigham Vale & Knollys Road. renowned bespoke specialist, its custom-built service - constructed to any size or/& specification - is available on items marked # - please contact us for details. 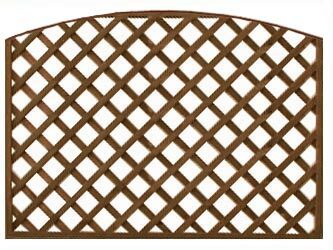 We make our Heavy Duty Trellis from pre-treated 19mm x 38mm battens, all nailed at every intersection, making it easily one of the strongest trellis available anywhere. Can be used as a panel or for special features in pergolas as well as wall and deck screening. Can be made to any size & specification - P.O.A.